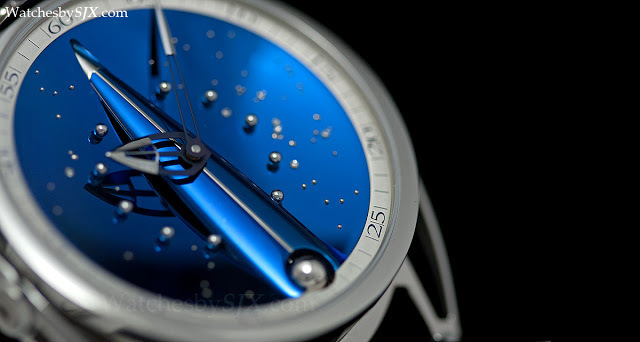 Unveiled for the first time last month, the De Bethune DB28 Skybridge is the most spectacular looking watch from the brand. 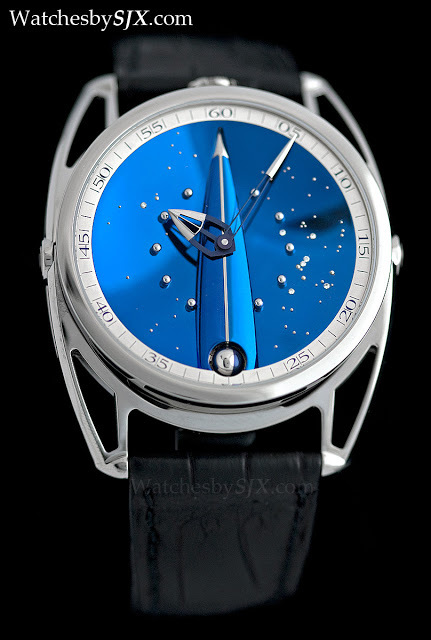 Similar to the unique piece made for Only Watch 2011, the DB28 Skybridge is a variant of the DB28 with spring-loaded lugs and mechanically it is identical to the earlier iterations of the DB28. 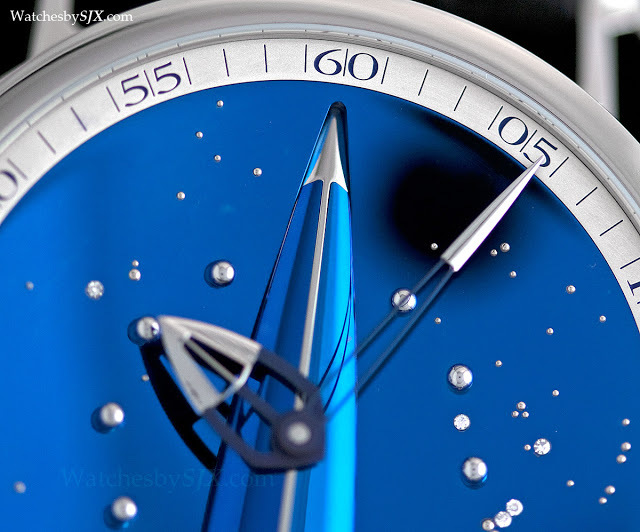 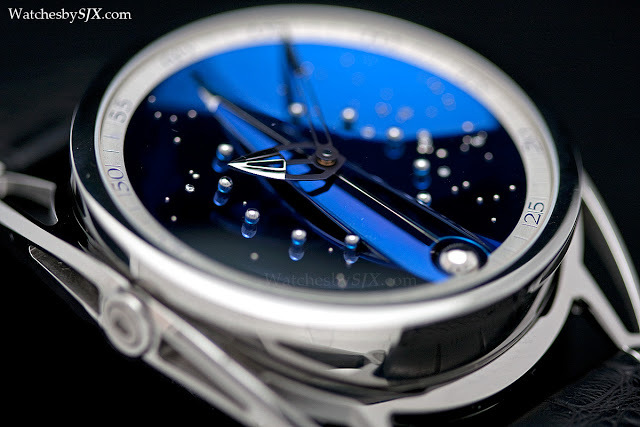 It displays the hours, minutes and also has De Bethune’s patented spherical moon display. 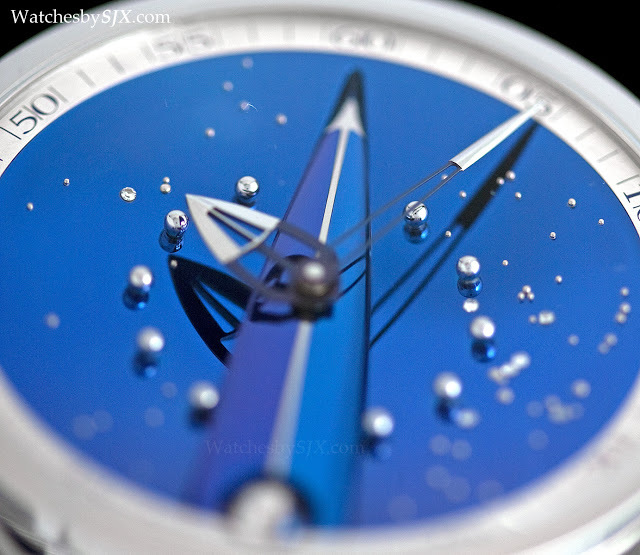 The dial of the Skybridge, however, is a visual delight. 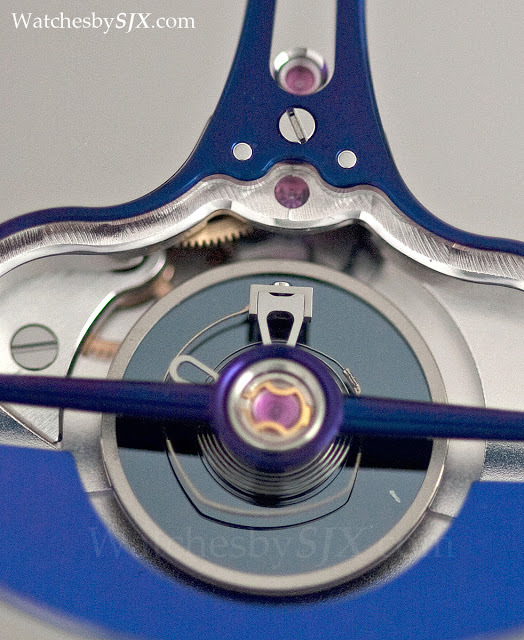 Made from flame blued titanium which leaves it a remarkable and intense blue, the dial is concave with each of the 12 spherical hour markers applied to the dial. 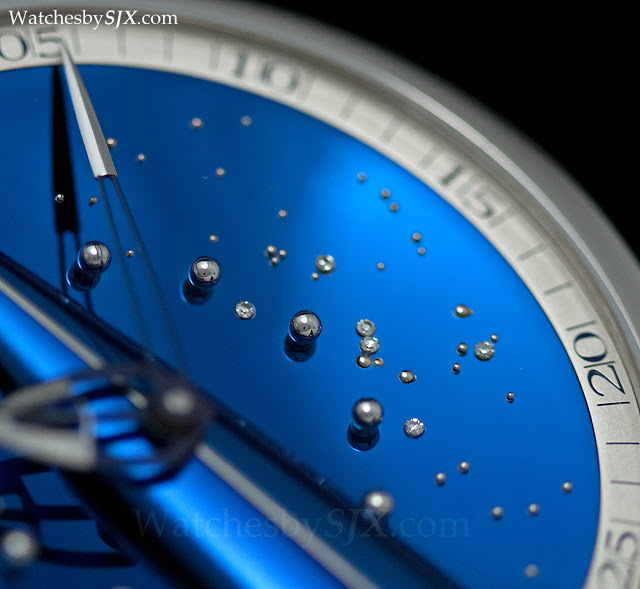 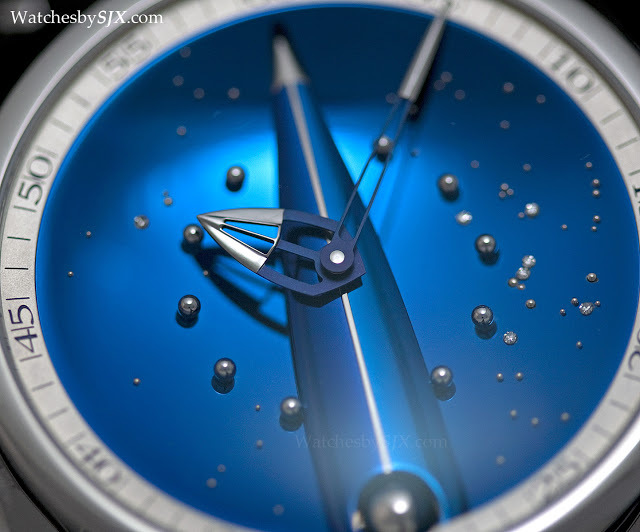 Scattered around the dial are stars, made of white gold or diamonds, forming the night sky. 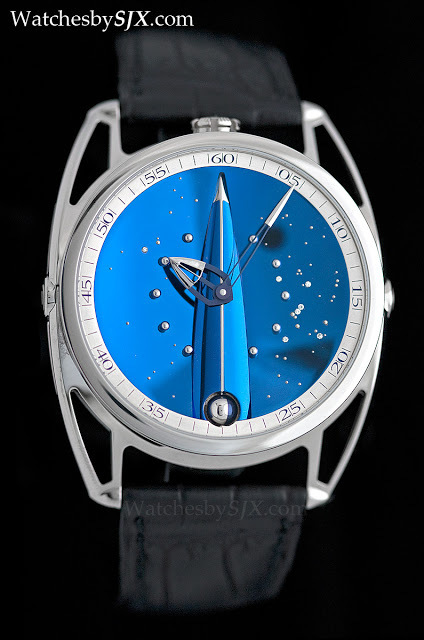 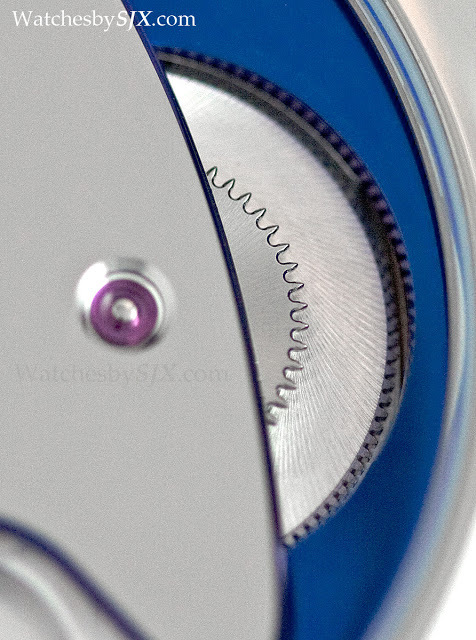 And in the centre of the dial is a blued titanium bridge, pointing upwards, that spans the dial – the Skybridge. 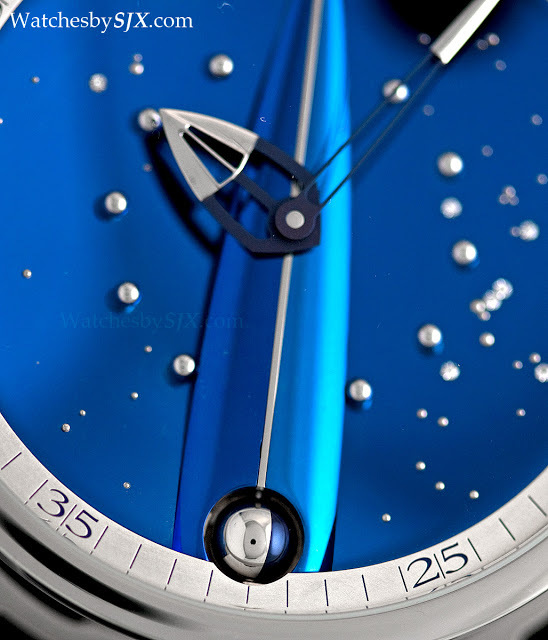 Being mirror polished, the dial catches the light at all angles, and the tone of blue changes according to the light. 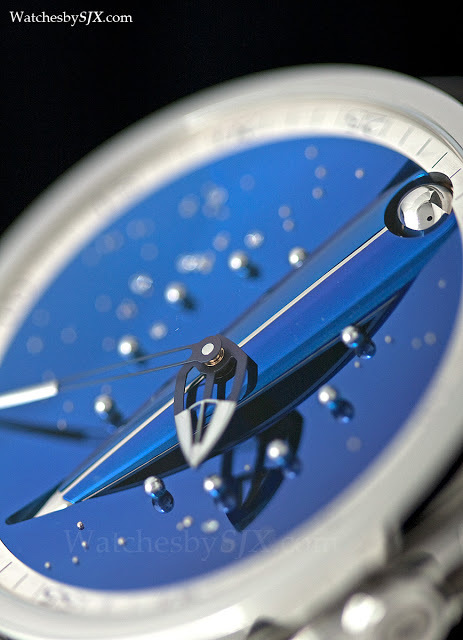 This is not the only De Bethune watch with a blue titanium cosmos dial, the DB25T Dead Seconds Tourbillon is another, but the Skybridge is certainly the most beautiful, largely thanks to the depth of the concave dial. 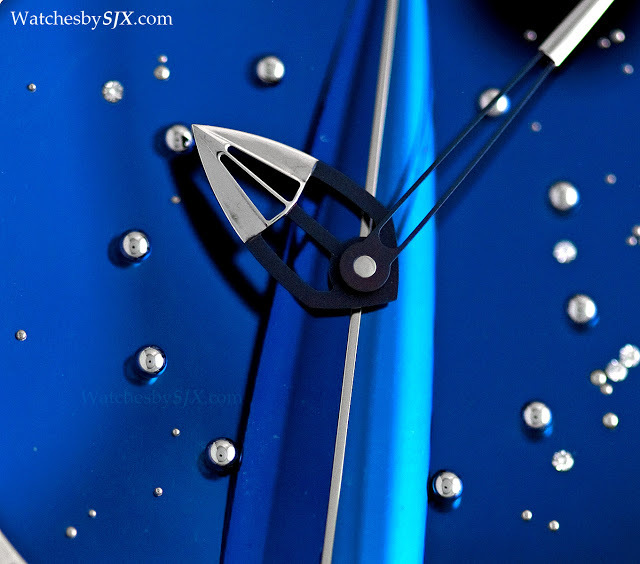 The theme of polished and blued metal is continued over on the back. 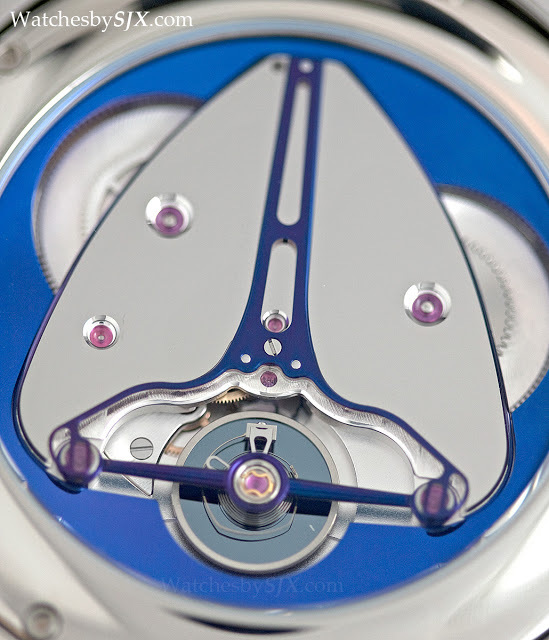 The movement bridges are mirror polished, while the triple parechute bridge and base plate are blued steel. 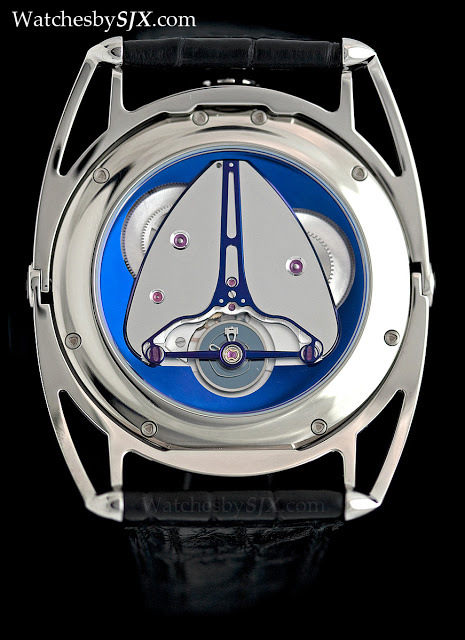 Though this is reminiscent of the ornate pocket watches made for the Chinese market in the 19th century, the movement features many of De Bethune’s innovative concepts like the silicon and platinum balance wheel, silicon escape wheel and triple parechute shock absorber.